Are gold bugs becoming Bitcoin bugs? In a surprising turn of events, Bitcoin is getting support from an important member of the gold crowd. GoldMoney, one of the UK's biggest precious metals storage firms, has announced that it will introduce Bitcoin storage as part of its services. According to CoinDesk, GoldMoney has entered the Bitcoin business through its subsidiary Netagio – "a spin-off business that offers a cold storage solution for bitcions." 'Cold storage' might sound cool and confusing but it basically means the offline storage of coins, which is considered to be safer than keeping them online. The service is free. "For the safety of your Bitcoins, we can’t tell you exactly where your Bitcoins are stored," Netagio explains on its website. "But what we can tell you is that all of your Bitcoins are stored in secure locations around the EU and Switzerland (together with all of our encrypted backups)." Netagio keeps a small portion of each account's coins online so that clients can trade. 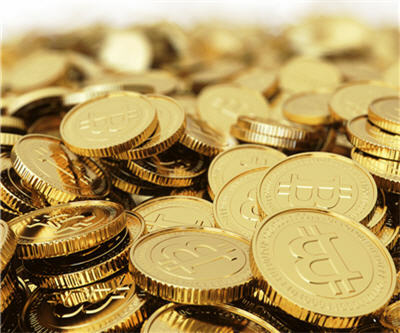 The company will also allow customers to buy and sell Bitcoin, along with other online currencies. "It’s one of the safest ways of storing Bitcoin. We encrypt it several times before storing it on devices and store copies in several different locations in the UK,” Netagio managing director Simon Hamblin told The Independent. In an interview with the Keiser Report on Monday, GoldMoney founder James Turk admitted that he was "a little bit sceptical" of the cryptocurrency in the beginning. "But I'm actually a believer in it now and I do own some bitcoin," he told Max Keiser. "It accomplishes what we tried to do to a certain extent with gold. The difference of course is that gold is something the governments want to control and regulate whereas Bitcoin is beyond government regulation." Keiser and Turk agreed that because economist Paul Krugman doesn't like Bitcoin, then it's "probably a good thing."